"At Saugerties Furniture our Guaranteed Everyday Low Prices ensure you're getting the best price everyday on the furniture you want. 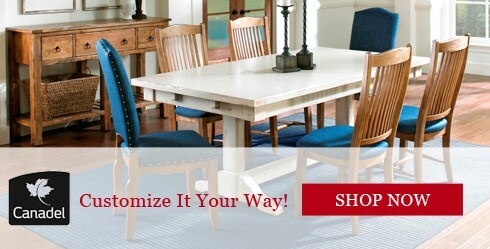 Visit Saugerties Furniture and see for yourself the difference experience makes." Shopping at Saugerites Furniture Mart guarantees that you'll be able to purchase and furnish your home with confidence with the Saugerties Furniture Credit Card by Synchrony. For more information on rates benefits from Saugerties Financing program, just click the link below. "Great delivery service! Love the furniture. See you soon for more." "Thank you for your help, expertise and information provided to us, which helped greatly in our choices. Prompt delivery was also a plus. We have always been able to depend on your high quality furniture." "Staff was knowledgeable and professional. Quality of furniture was exceptional. Delivery personnel were efficient & precise and made it look easy. Thank you." "I am very pleased with the service I received when I came into the store and with the knowledge of Russell helping me to pick the perfect couch for me. Last but not least the movers were great! Thank you very much." "Salesman was wonderful, not pushy. Deliverymen were quick, friendly, and explained all functions of airbed." "The gentlemen were very careful bringing in the furniture. Explained the motor for the recliner. This is our second time shopping here and would come back again." Want more great deals? Sign up today to receive exclusive email offers and save today! Our family and associates are well versed in today’s latest fashions and yesterday’s timeless classics and this experience helps us to help you. 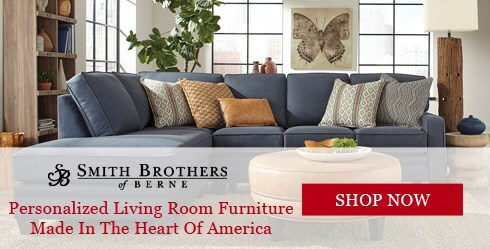 Serving Poughkeepsie, Middletown, Kingston, Rhinebeck, Red Hook, Albany, Newburgh, Dutchess County, Hudson Valley, New York and the surrounding area our furniture store features a huge showroom in downtown Saugerties. If you are looking for furniture in the Kingston, Poughkeepsie area find out why Saugerties is the best in the Albany, New York area. We offer a wide variety of bedroom furniture, dining room furniture, living room furniture, accent furniture, home office furniture, entertainment furniture, and mattresses. Stop on by Saugerties Furniture Mart today! We deliver to most parts of the Hudson Valley and serve customers from Albany, Poughkeepsie, Dutchess County, Kingston and the surrounding areas. We also deliver outside of our area to NYC and parts of Long Island. Saugerties, located in the Hudson Valley, offers a great selection of furniture for shoppers in and around Ulster County, Dutchess County, the Capital Region, Newburgh, Albany, White Plains and more. We offer quality furniture, discount furniture, and clearance furniture in the Hudson Valley and can help you find the ideal furniture for any room in your home. If you live in or around Kingston, Albany, Poughkeepsie, Middletown, Newburgh or Dutchess County stop by Saugerties to see why we are the premier furniture store in the Hudson Valley.